It hasn’t been a good summer for sports – not as far as looking for conduct worthy of copying. It could be argued that “anger” has taken top billing lately, instead of athleticism. First, in the sport we serve, Racing, we saw a fatality accident as two competitors, got into an on track argument; and one lost his life! Then there’s the whole NFL scandal. Domestic violence is dominating the news as one big, burly guy after another has been out-ed for either beating a wife, girlfriend or child. What’s up with the escalation of violence? Nothing, unfortunately. Domestic violence is a historical norm for a percentage of the male population. But that doesn’t make it any easier to endure or stomach, much less condone! That fact is some of you reading these words have been victims of domestic abuse – or saw and heard it in your home, growing up. And if I know my statistics, a few of my readers are abusers themselves. What many of you may not know is that I am a victim. That is one reason I started this ministry. It is one reason this issue is so important to me. 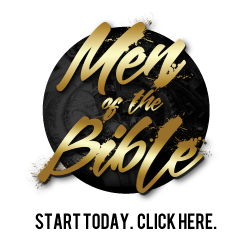 I, and the Master’s Men in general, are all about seeking to reach men with the gospel and disciple them toward maturity in Christ (our mission statement) so that we can change the American family, one male at a time! My frame of reference is this – having lived the nightmare – no women should have to live in fear and humiliation as an abuse victim, no little boy, no little girl; no, not one! And what is the reason for the out of control behavior that leads a man to abuse another? The simple answer, when you peel away the psycho-babble, it is anger at its core. Are there other factors? Of course there are, but this letter isn’t a therapeutic analysis of abuse, it’s a singular statement to men; to man up to your anger, admit your rage and take your faith and family obligation seriously. Men can begin to overcome deep seated anger by first admitting we have it. Next ,we need to take the hard step of recognizing that we don’t control it, followed next by a legitimate, humble, confession, at the Cross of Christ, that you are an offender. We need Jesus for this! Biblically, the fact is that no amount of therapy will change you. In fact I am convinced that we can’t even change ourselves. No, we’re powerless against sin and evil until we have Christ working for us and in us; “Christ in you, the hope of glory” Colossians 1:27. Though I recommend therapy for long range behavioral change, I am convinced real change begins with the gospel and continues as we submit to Jesus authority in our lives; from whom comes the power for transformation into His likeness (Romans 12:1,2). When Paul says, In Ephesians 4, as quoted above, that “we are to be angry but not sin”, he realizes and we should too, that we all have an emotion in us that can get out of control. We begin to control it and not let it control us, when we accept Christ’s rule in our lives, admit we need help and proactively resist the evil that tempts each of us. Afterward, discipleship, or therapy, can keep you moving in the right direction and offer some helpful techniques to improve your responses and life choices to the things that stimulate your anger. Men, we have got to get a handle on this. Anger out of control, hurts others, hurts us, and hurts God’s heart too. He loves those women and children He has entrusted into our stewardship. Therefore, let us never, again, be guilty of violating that trust, our family’s personhood, nor the testimony we are meant to have for Christ – in a world that needs the Christ like love and leadership of a few good men. Men, I beg you, don’t lose your cool over anger, don’t lose your job, don’t lose your testimony and for heaven’s sakes, don’t lose the sanctity of your calling to provide and to PROTECT your loved ones.